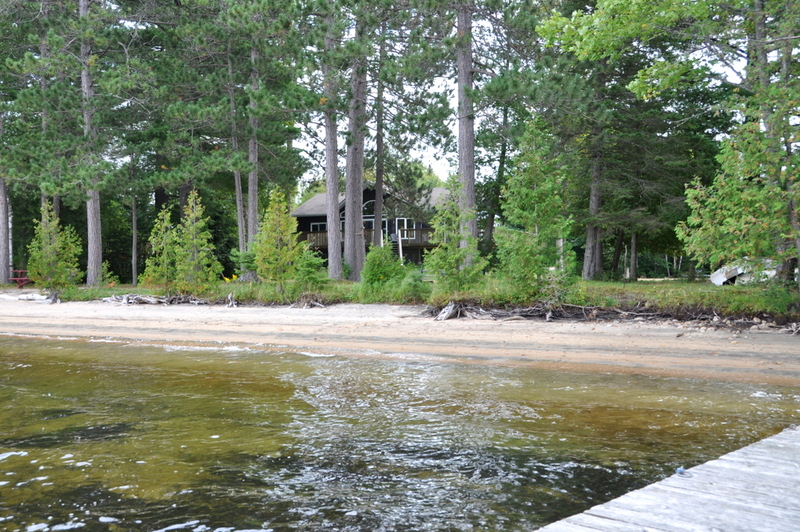 This wonderful 5 bedroom cottage is located at the end of a quiet lane on a very flat 2 acre lot and boasts a beautiful sand beach with shallow swimming. 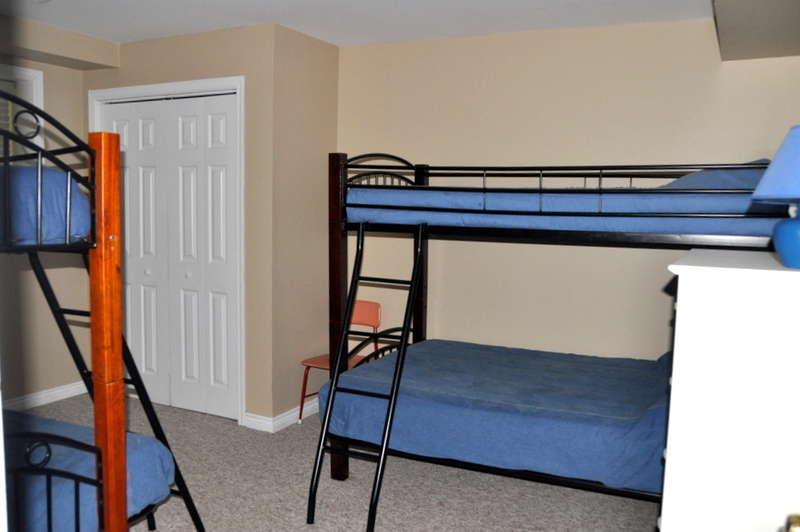 Kids both young and old will love this location. 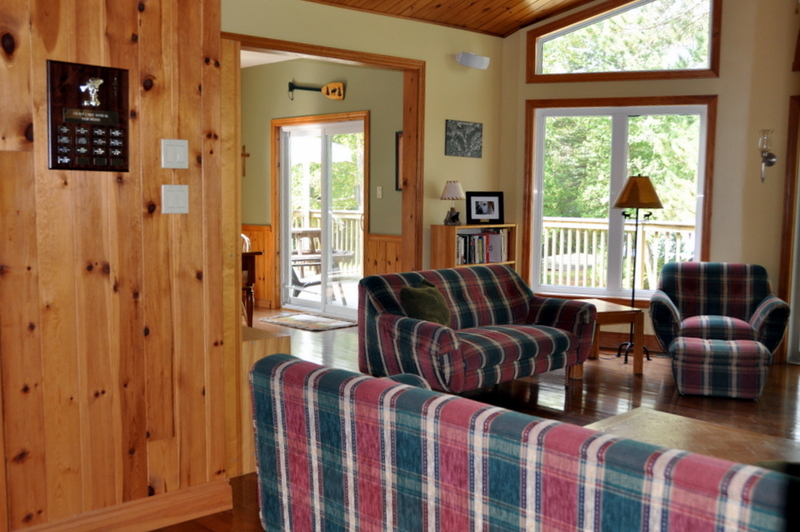 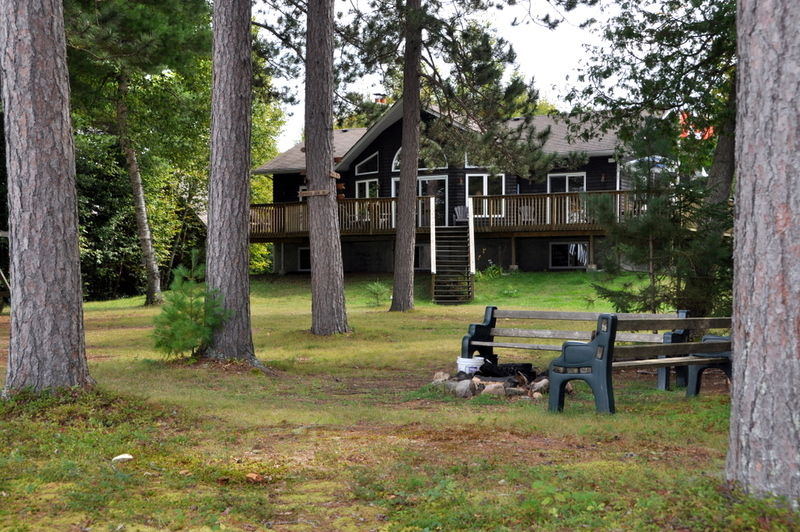 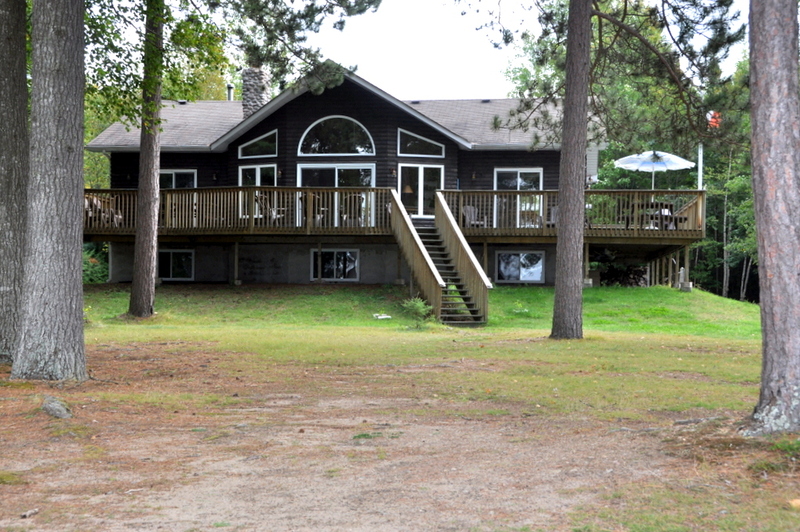 Your privacy is assured with 300 foot of shoreline, and the cottage is bordered on one side by a natural creek and wetlands. 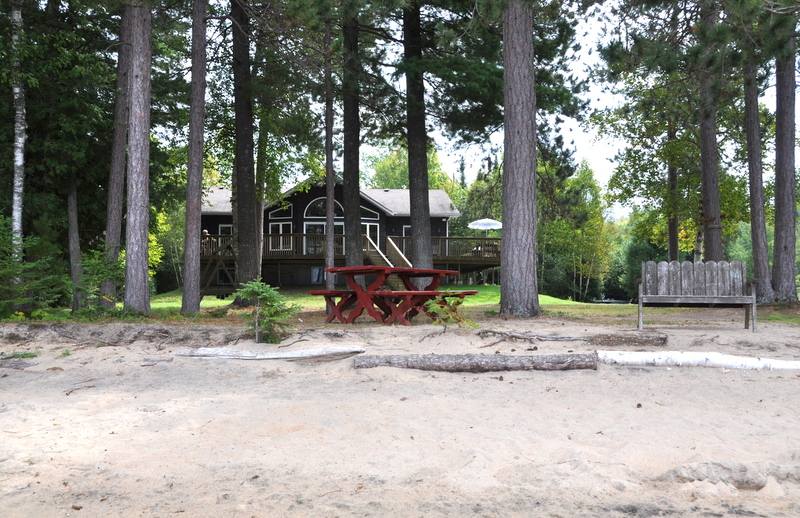 Tall trees tower overhead providing some shade over the level grounds where the kids can run and play, and get in a game of beach volleyball. 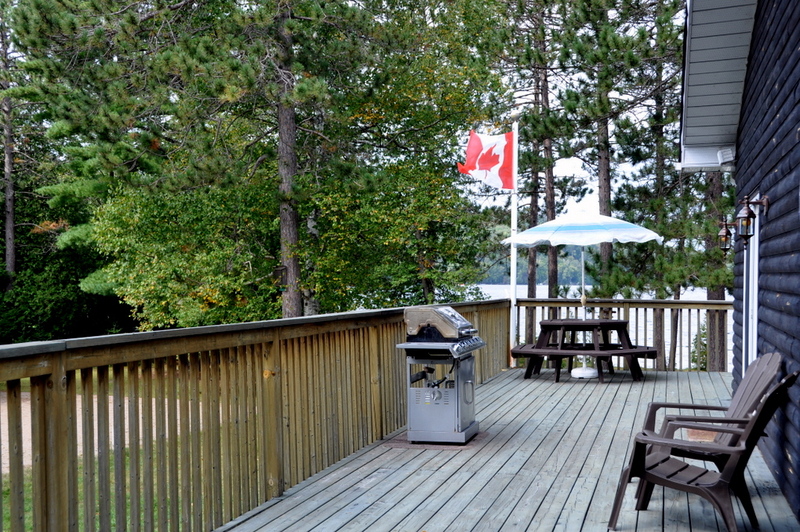 The large wraparound deck is furnished with picnic tables and lounge chairs for you to sit back, relax and enjoy the view out over the lake. 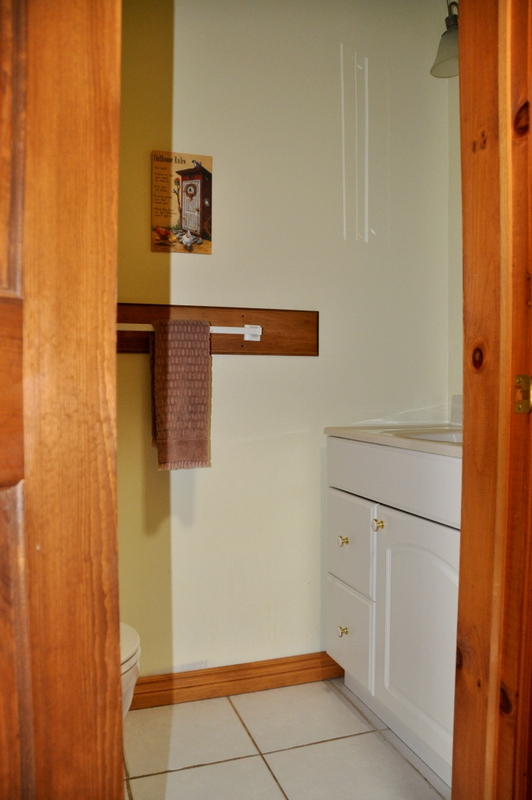 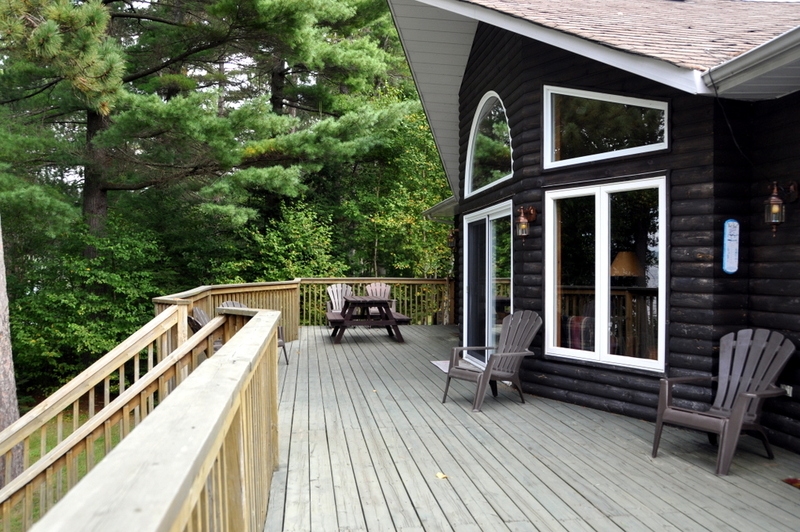 This cottage offers plenty of options inside as well. 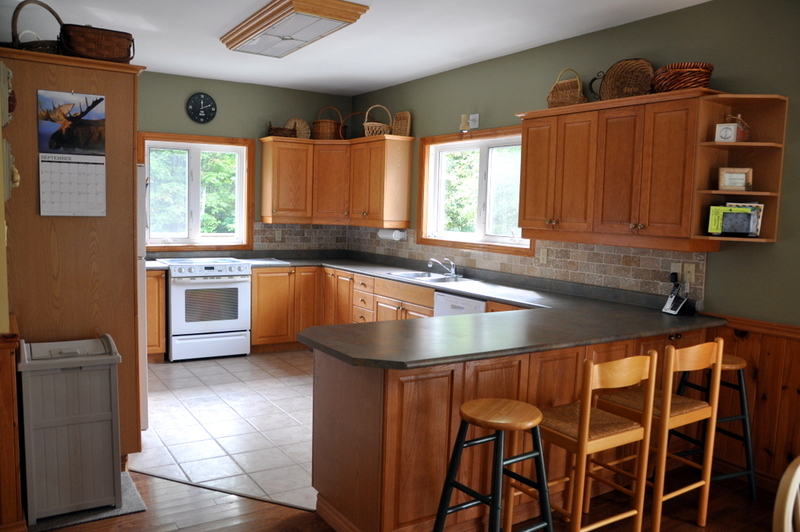 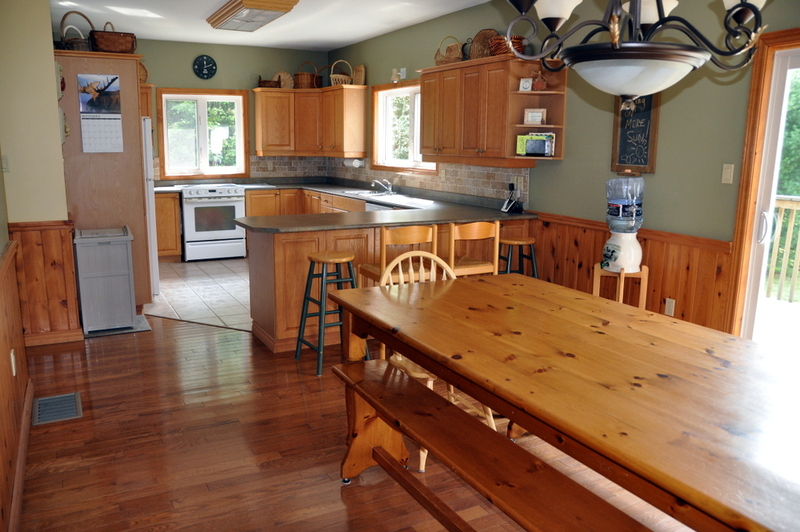 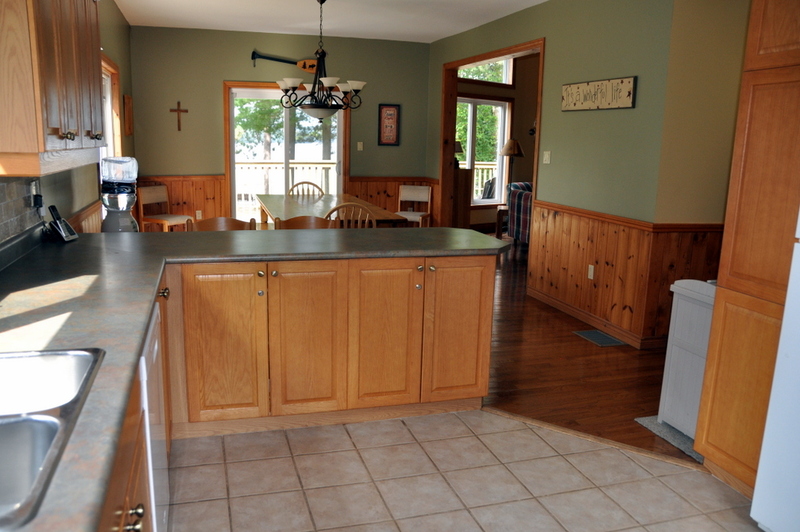 The kitchen is spacious and has an island with seating. 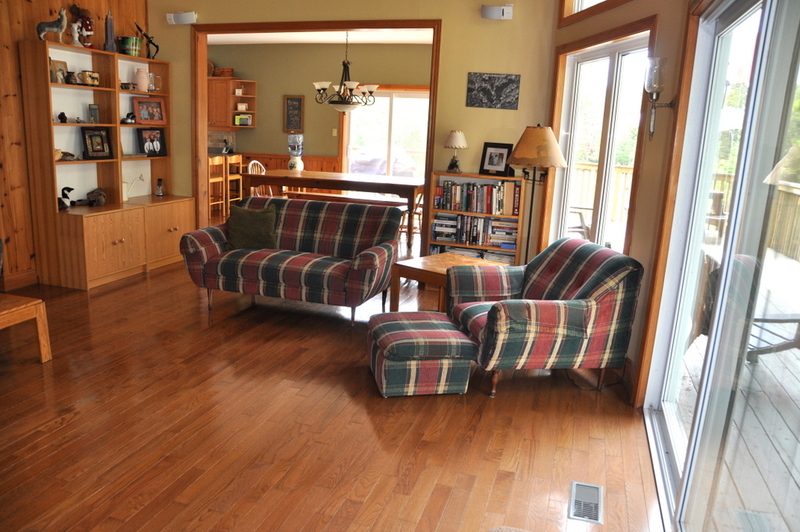 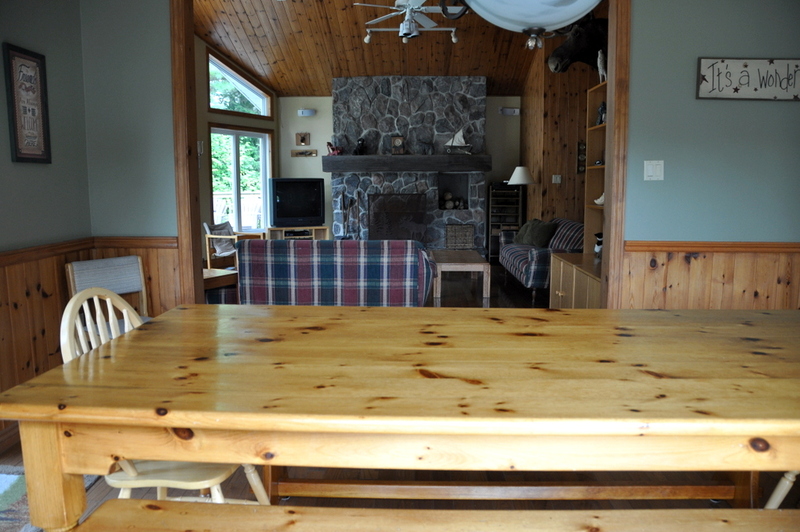 The dining room has a large harvest table for family dinners and two walkouts to the deck area and BBQ. 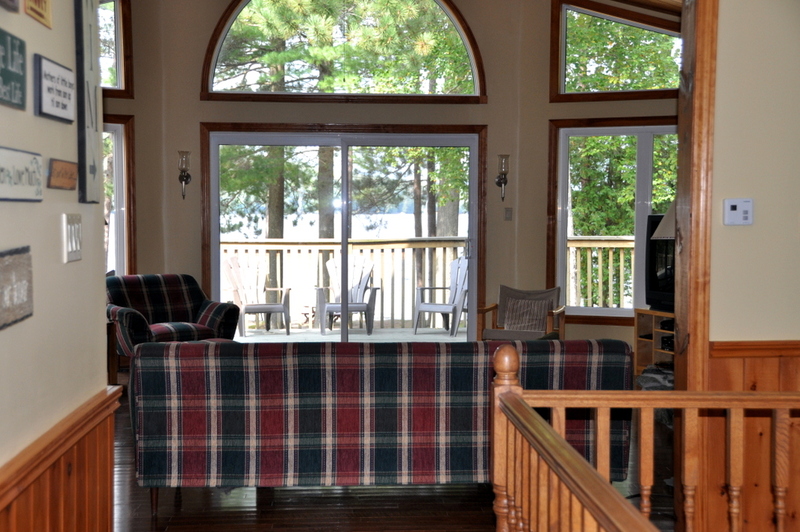 Enjoy gathering in the great room with it's vaulted roof line, tall windows overlooking the lake, and lovely stone fireplace that reaches from floor to ceiling. 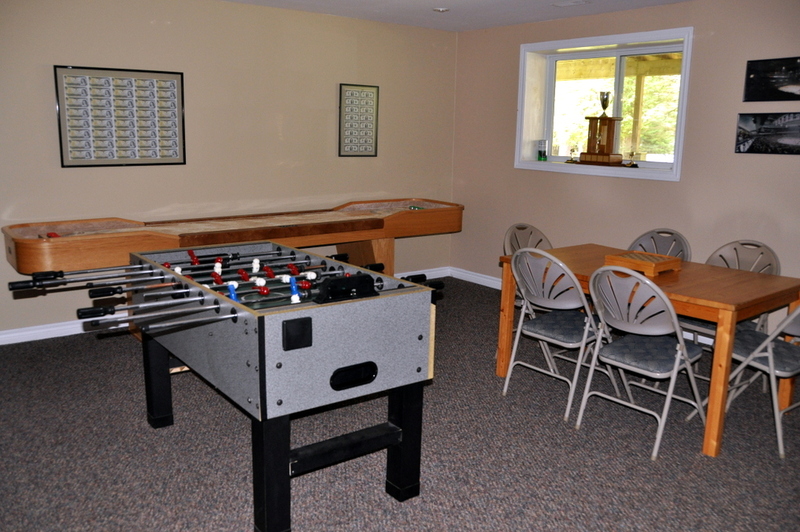 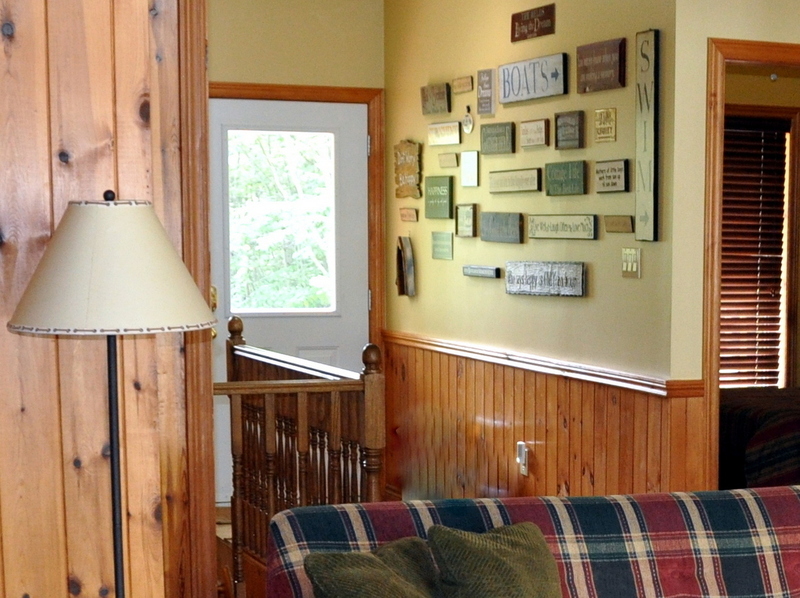 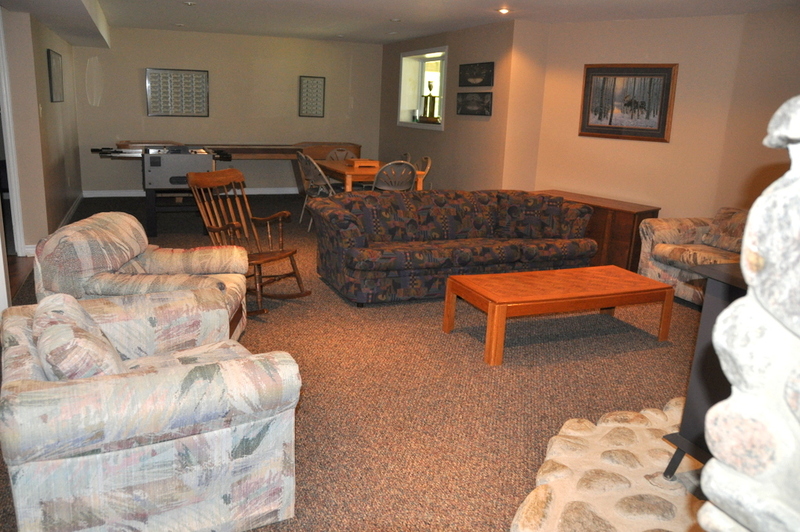 Downstairs, the family room is spacious, with a conversation area, the second TV, woodstove and games area with a card table, foozball, shuffleboard table and board games. 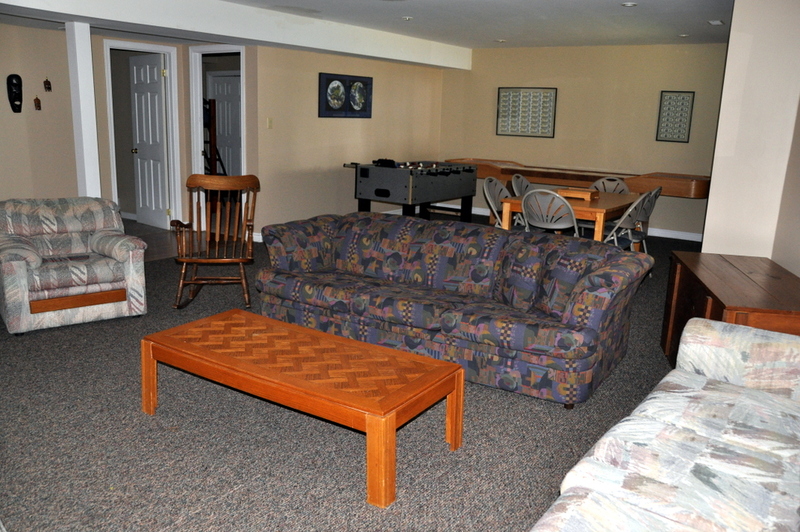 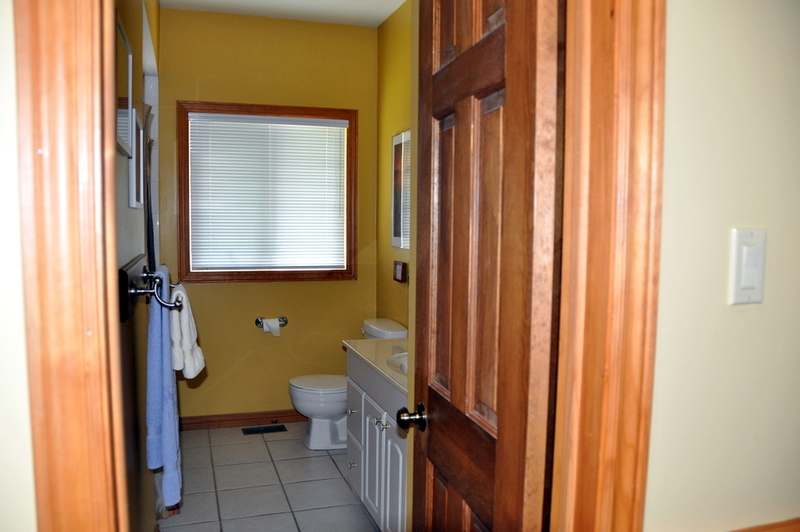 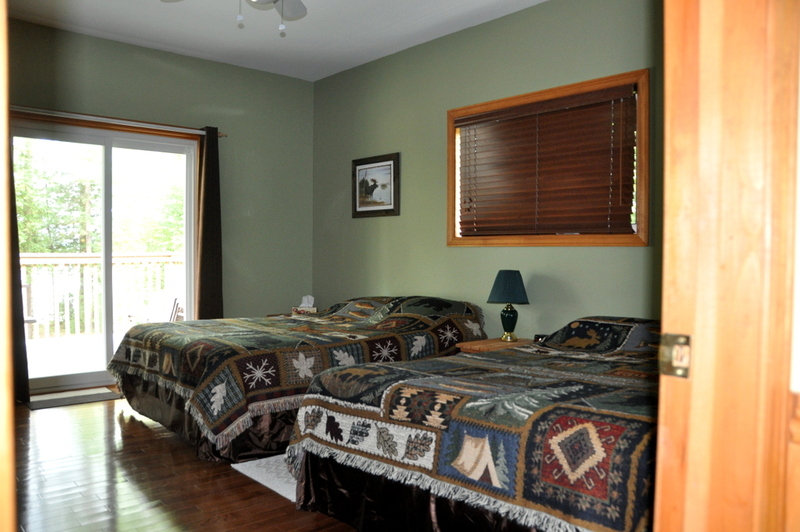 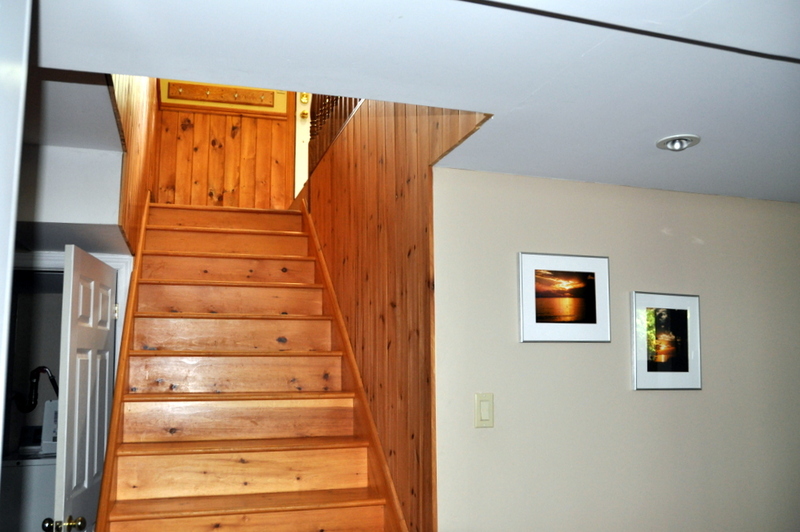 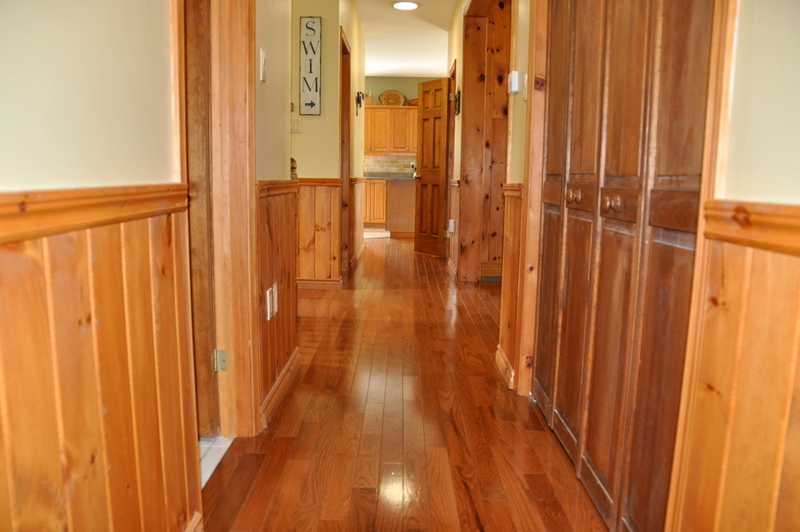 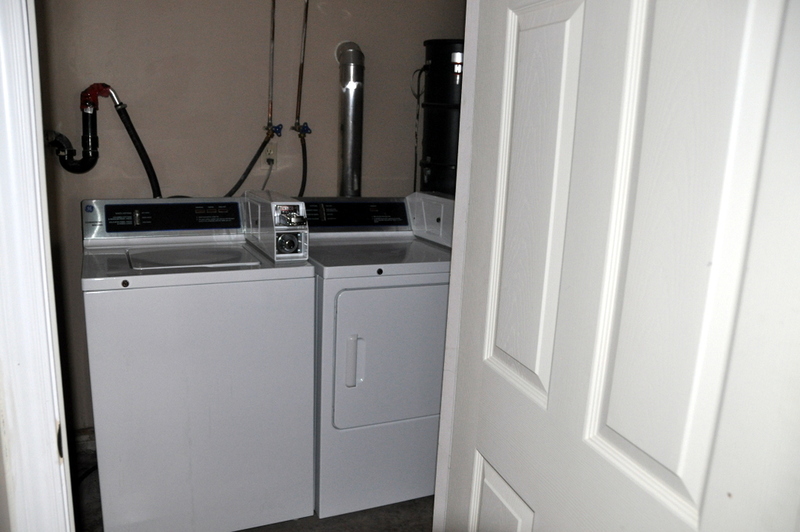 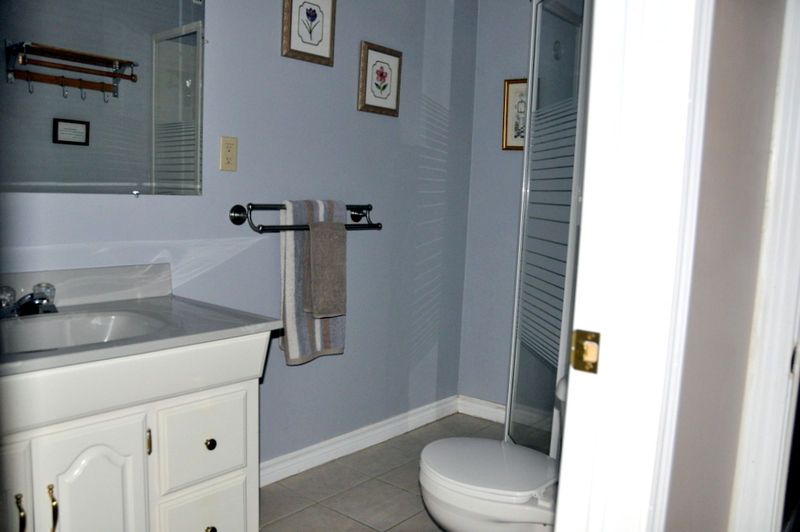 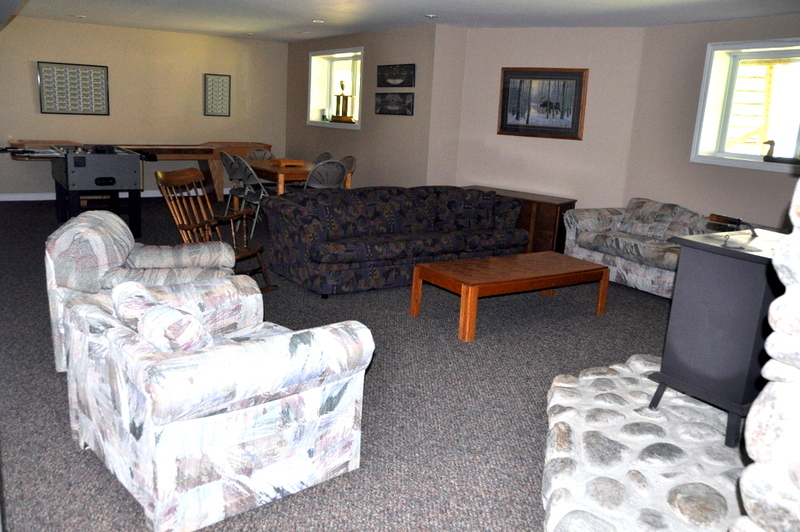 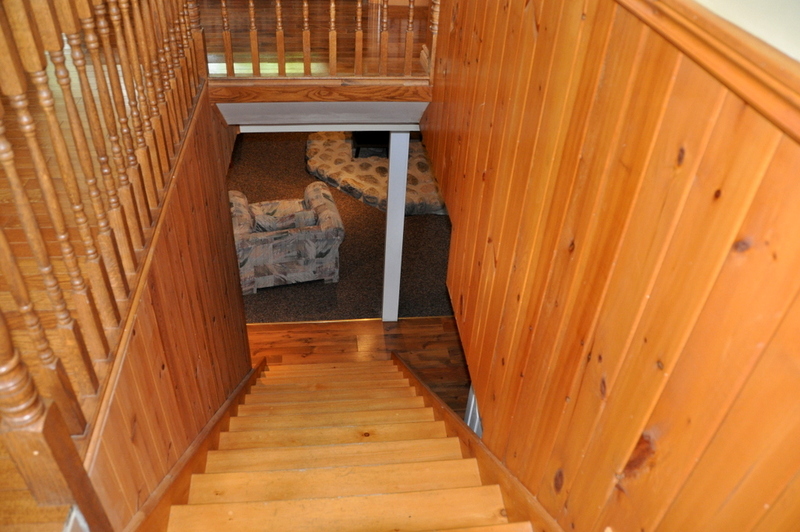 There are three bedrooms on the main level, and two bedrooms on the lower level. 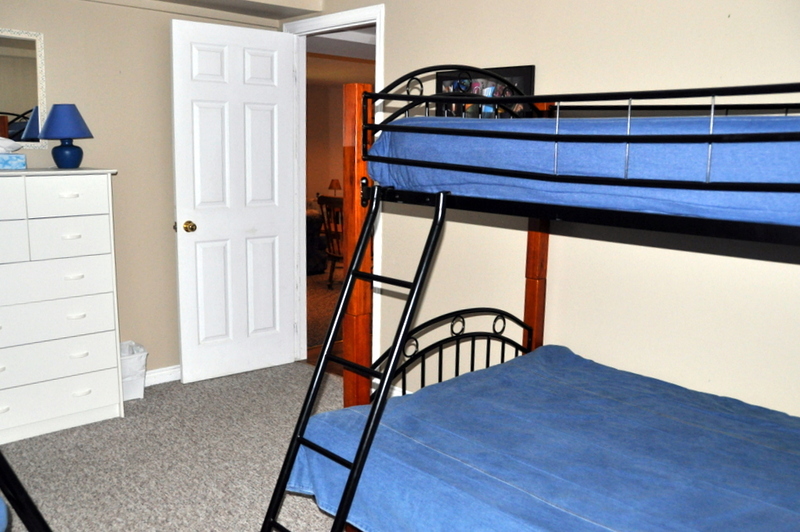 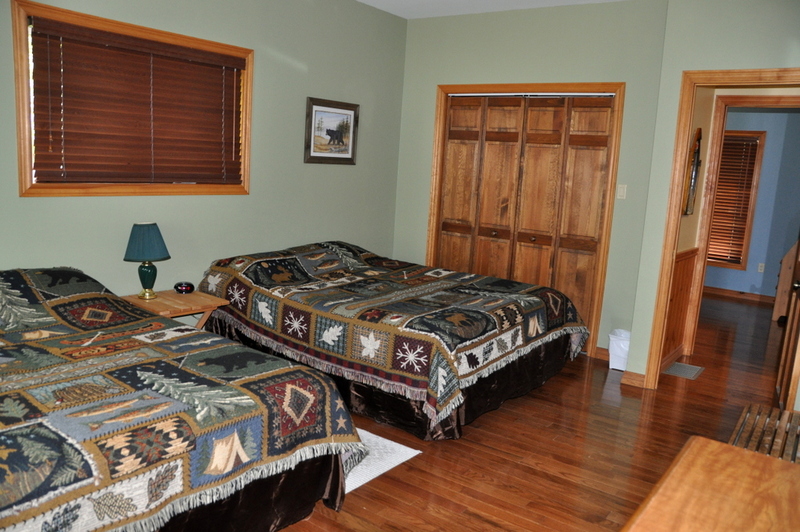 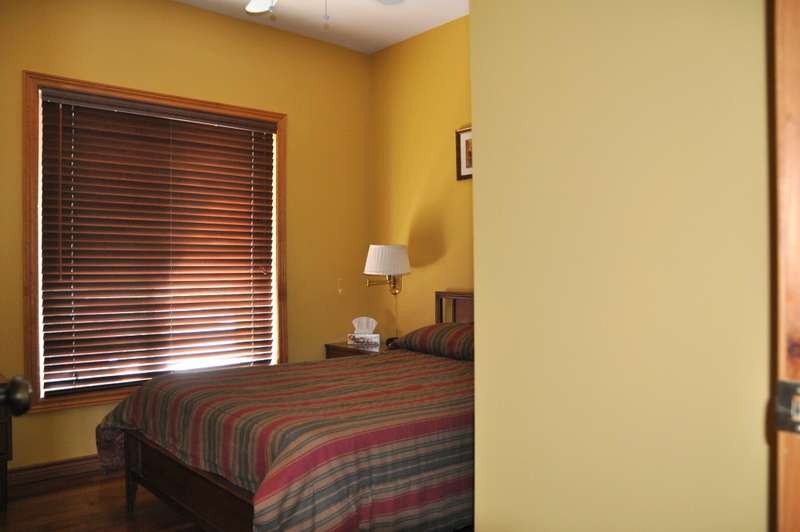 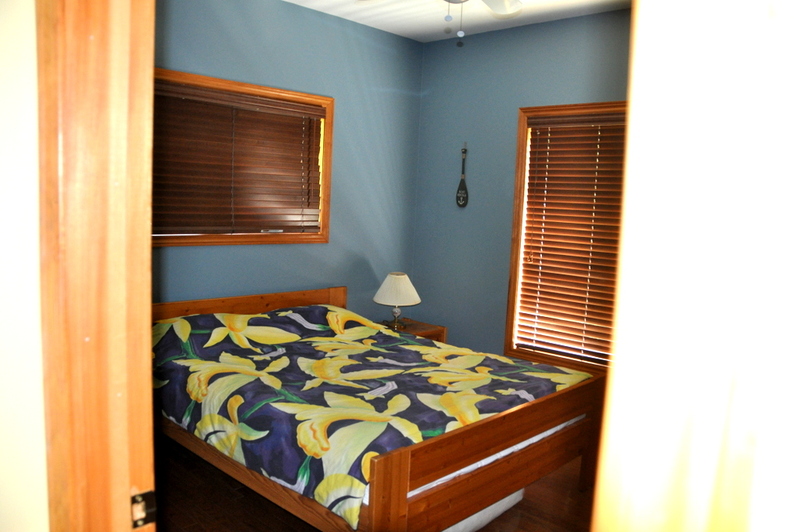 The bedrooms are bright and spacious with lots of closet space. 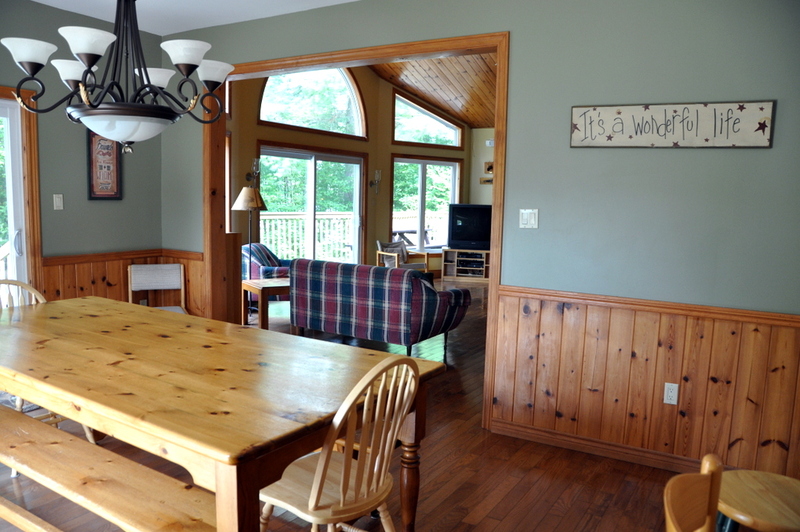 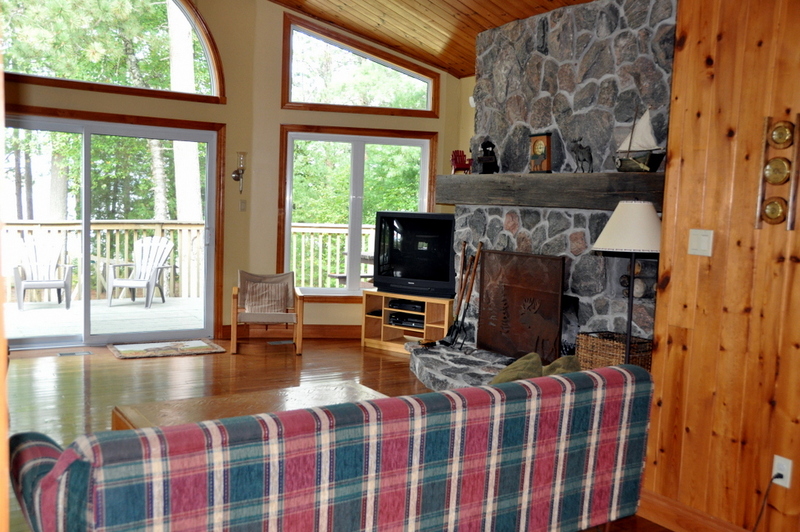 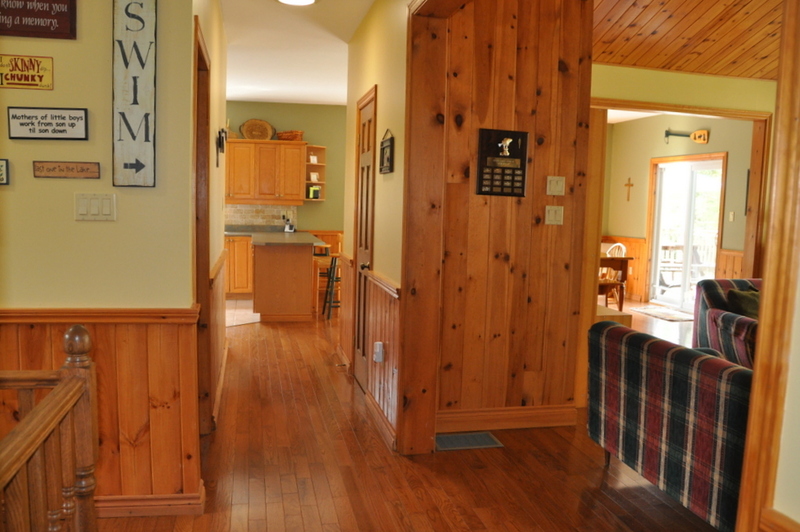 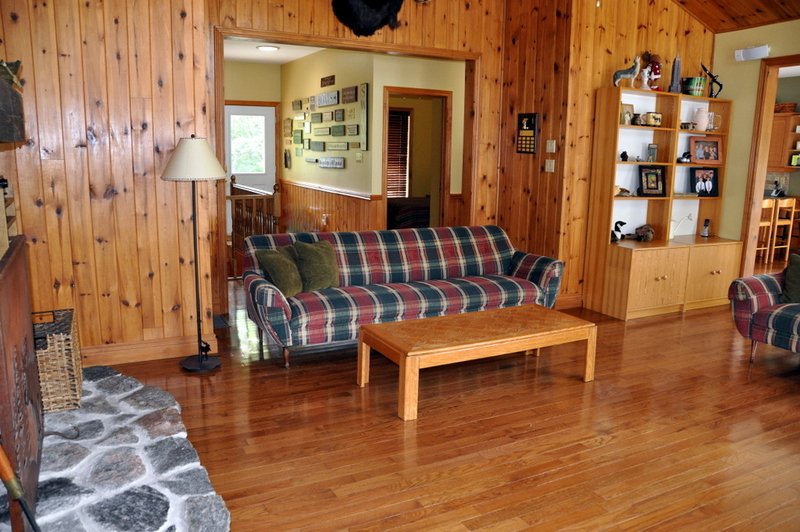 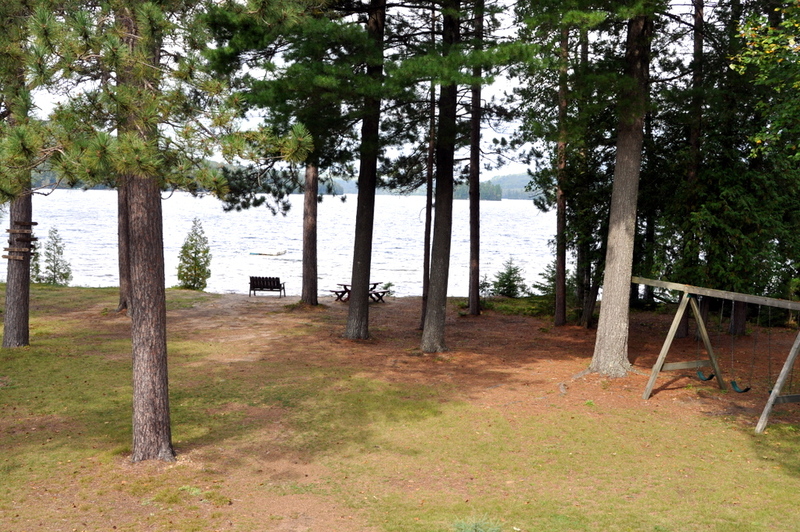 This cottage has great features and amenities for you to enjoy whether you want to splash and play outside, sunbath on the deck, or retreat to the indoors. 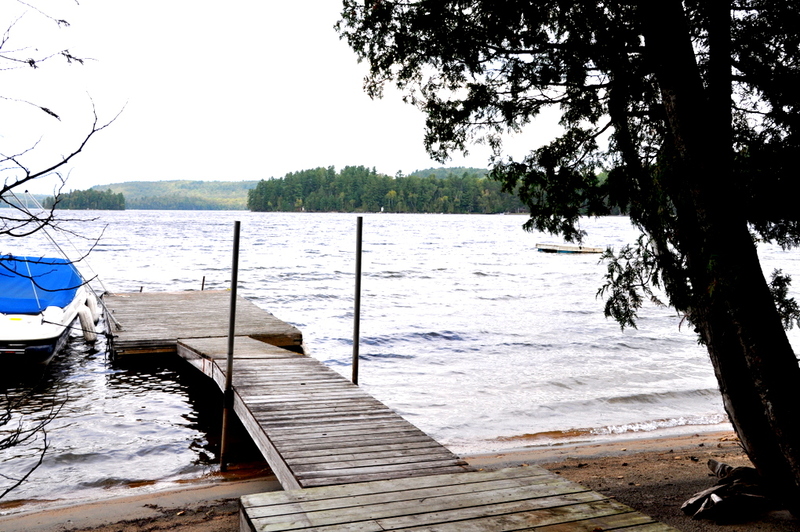 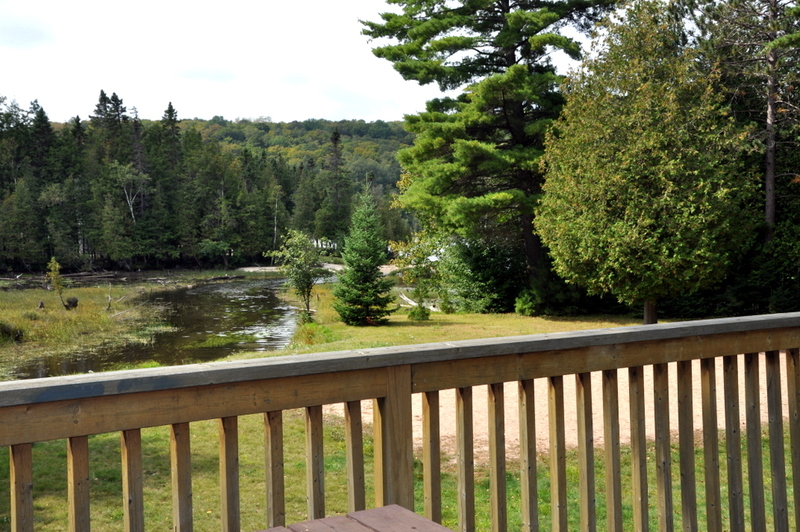 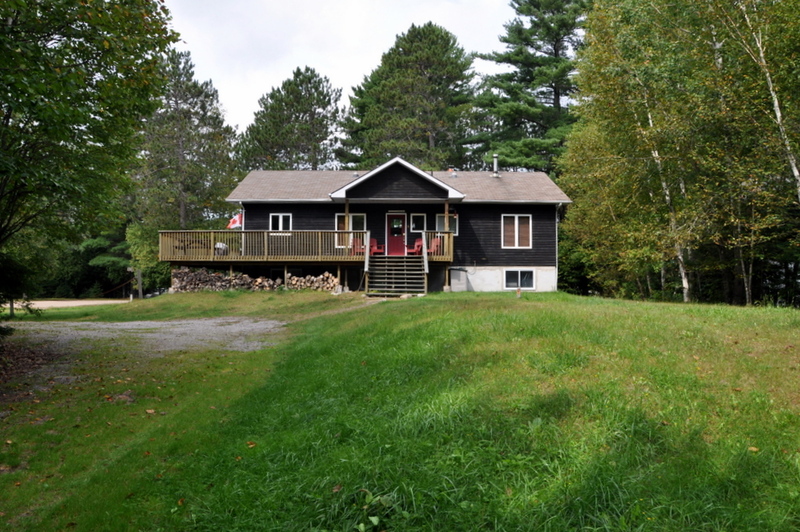 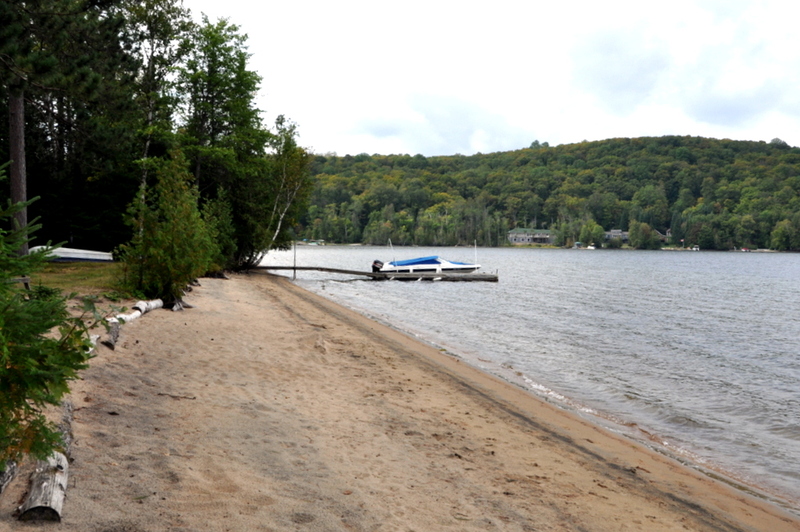 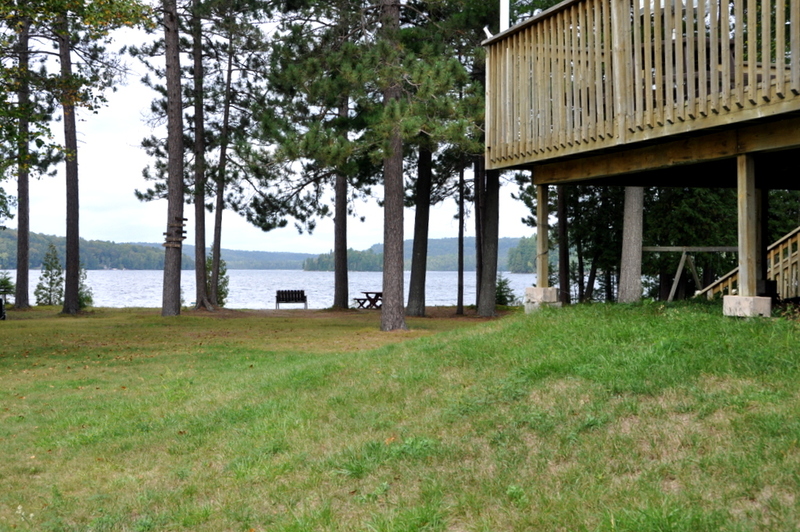 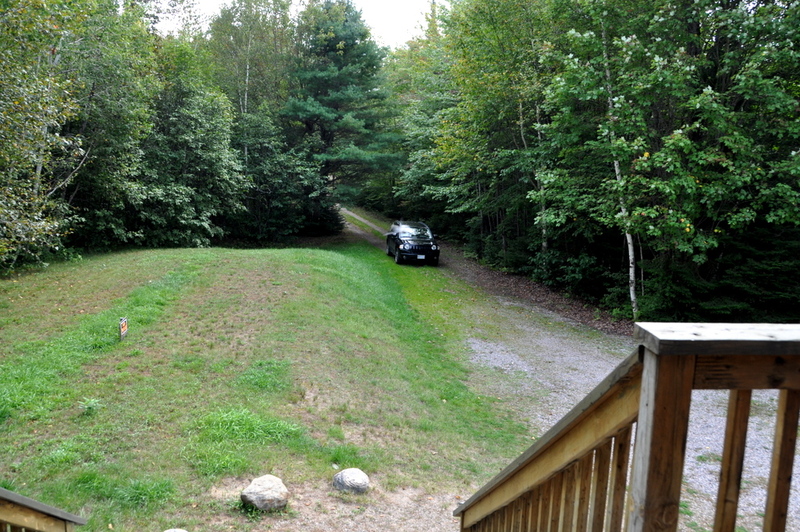 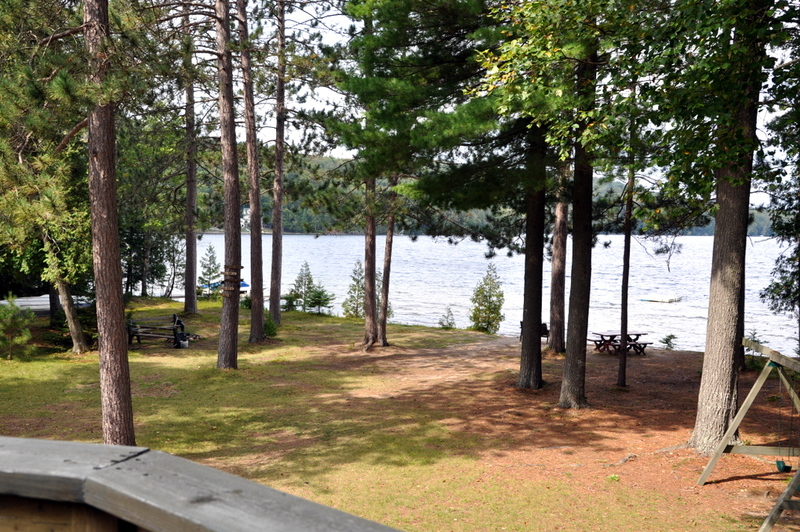 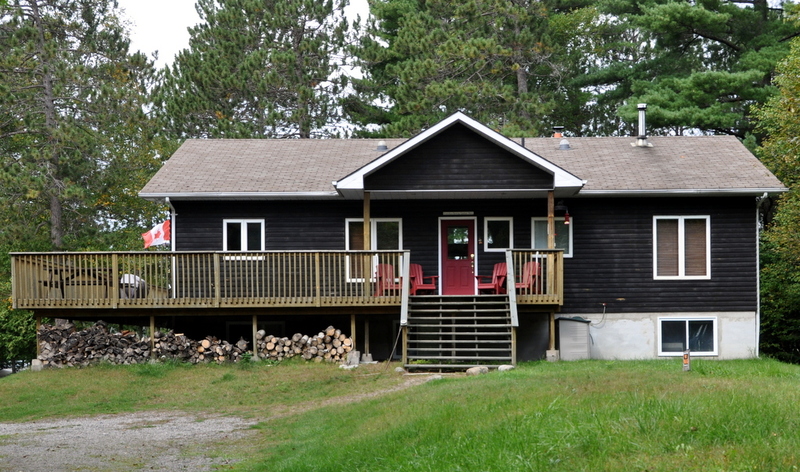 LOCATION: About a 5min drive from the town of Wilberforce and 30mins from either Haliburton or Bancroft. 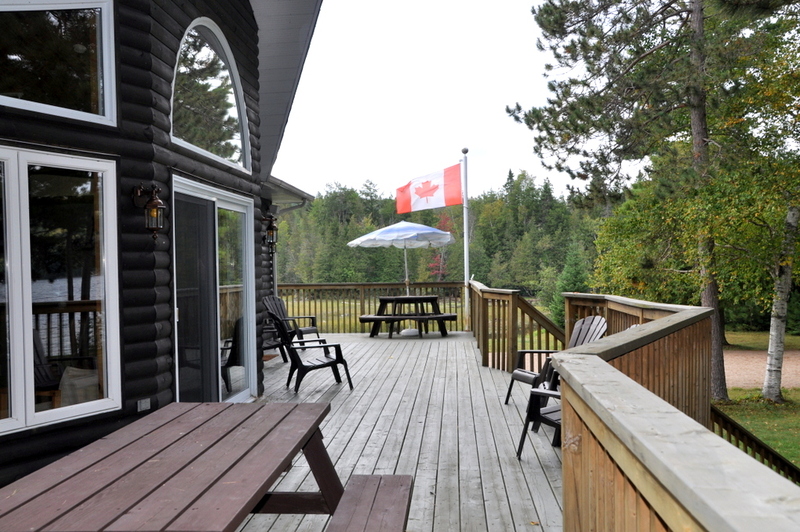 Wilberforce has IGA, LCBO, restaurant, general store and more. 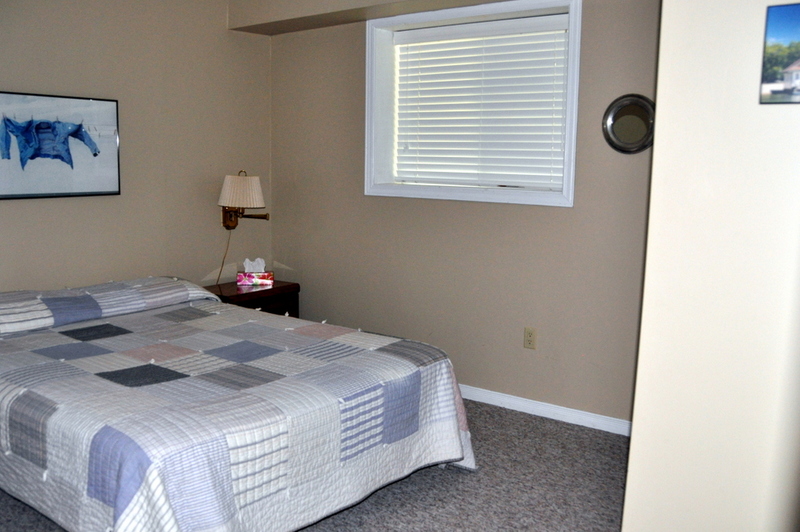 No pets, no smoking, maximum number of occupants is 15, bring own linens and towels, bring own drinking water, noise restriction after 11 PM. 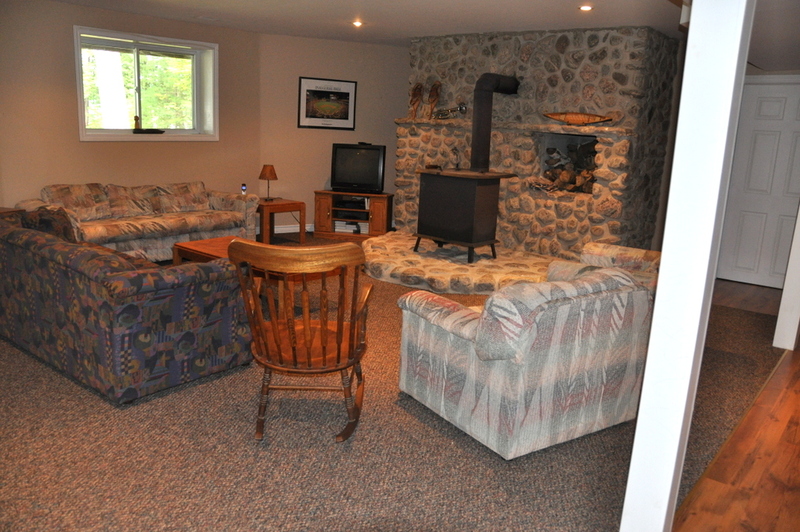 Please note this cottage rents Sunday to Sunday during the high season.